Handcrafted in England to the highest standard this Denby Halo Storage Jar features the popular speckled Halo design. 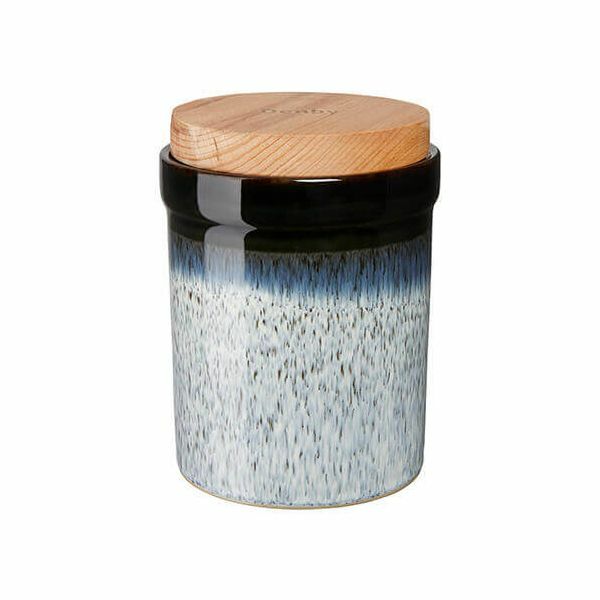 The vibrant and eye catching glaze makes this Storage Jar strong, durable and suitable for everyday use. Ideal for storing tea, coffee and sugar or dried foods and treats, this Storage Jar is also dishwasher safe and would make a great gift or addition to an existing Halo collection. Dimensions: 13cm x 12.5cm x 16.5cm. they arrived well wrapped exactly as I had seen.Arrived quickly in box covered in bubble wrap have ordered from Harts of stur before and will order from them again .